The most crucial ingredient that shaped Turkey’s evolution as a nascent arms exporter is its NATO membership. This allowed it to buy weapons in bulk, then develop state-controlled industries with the help of member-countries, and later on branch out on its own. For example, its favorable ties with Germany resulted in an early predisposition for German arms. As a matter of fact the Turkish Navy’s submarines are all German made. Being a staunch ally of the United States allowed its defense firms to prosper too. Such is the case with Turkish Aerospace Industries, Inc. or TAI, the state-owned corporation that built the world’s largest number of licensed F-16’s for the Turkish Air Force. Even its testy relationship with Israel bore fruit as Turkey used to be a willing customer for its electronics. Economic growth in the last 20 years and a willingness to work with foreign manufacturers has no doubt impacted the armed forces’ goals and modernization. What follows are summaries of the Turkish defense sector’s contributions to the national cause. In the 1960s the Turkish military embraced the 7.62x51mm Heckler & Koch G3 assault rifle. As the most widely license-built infantry weapon after the ubiquitous AK-47 and the Belgian FAL, the G3 along with the 7.62mm MG-3 machine gun were soon being made in bulk by government-owned MKEK. In the mid-2000s, however, it became apparent a new infantry weapon was needed. While the HK-33, an improved version of the G3 with a longer magazine, was used in limited numbers, by 2008 the defense ministry acknowledged the need for a replacement. By 2009 the government-run Undersecreatriat of Defense Industries (SSM) signed a contract for a “Modern Infantry Rifle Project.” A similar initiative for a machine gun was launched the following year. Five years later it remains unclear whether a modernized 7.62mm rifle or a locally made HK 416, a 5.56mm carbine, will serve this purpose. While Turkey maintains an enormous anti-tank arsenal composed of US, French, German, Israeli, and Russian missiles, it can build its own ATGMs if it wanted to. It has and this reflects the armed forces’ longstanding respect for anti-tank weapons. At an unspecified date, presumably during the 1970s, Turkey began to roll out license-built M72 LAWs that it designated the HAR-66. 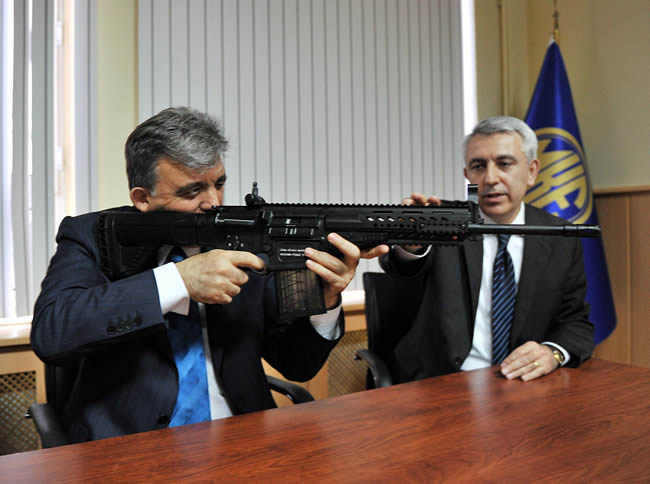 In the 1980s Turkey also acquired the license to build FIM-92 Stinger missiles. By 2010 defense firm Roketsan, which specializes in missile development, unveiled the UMTAS at trade shows. The UMTAS is an ATGM designed to be carried by Turkey’s new T129 ATAK helicopters. On the other hand, Roketsan developed the OMTAS as a next-geenration ATGM for vehicle-on-vehicle targeting. The needs of the Turkish Army’s existing fleet of Cobra attack helicopters motivated Roketsan’s 70mm guided rocket, the Cirit, that was sold to the UAE this year. In 2002 small arms manufacturer MKEK and high tech firm Aselsan rolled out the first of many Firtina 155mm self-propelled artillery systems. Developed as early as 1998 with the cooperation of South Korea (who later contributed to the Altay MBT), the Firtina is a license-built K9 Thunder SPG that runs on a German-made 1,000 horsepower engine. As early as 2011 Turkey was eager to sell loyal customer Azerbaijan the Firtina, but the deal encountered technical difficulties. With more than a thousand M113 APC variants in its ground forces, it fell on Turkey’s FNSS to develop a more capable improvement. 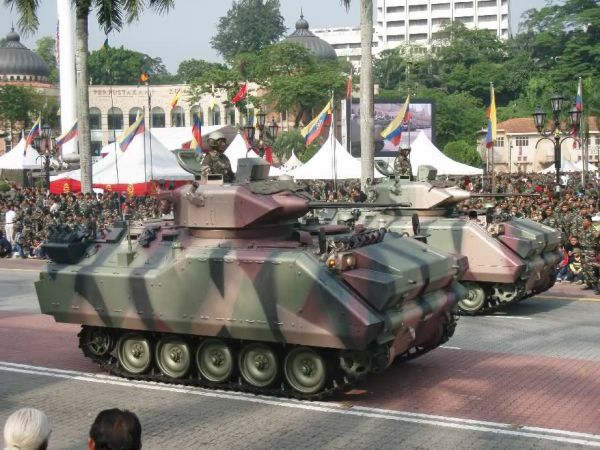 The result was the up-armored ACV 300, which joins the thickening ranks of M113-based fighting vehicles across the globe. The amphibious ACV 300, with a 25mm gun on its turret, NBC protection, and space for eight infantrymen, has already been exported to several countries. While Turkey’s ground forces are among the region’s strongest, the US-led conflicts in Iraq and Afghanistan, as well as its own experience battling the Kurdish Worker’s Party (PKK) in the country’s south, highlighted the need for an indigenous Mine Resistant Ambush Protected (MRAP) vehicle. It was truck and bus manufacturer BMC who eventually rose to the occasion with the Kirpi. As a troop transport and armored car, the 18-ton diesel-powered Kirpi was rolled out in 2010. Unfortunately, delays in the bulk order of 400 vehicles has endangered the program. Almost 30 years ago, Northrop Grumman and the newly created TAI signed an agreement for what became 200+ license-built F-16s. Together with existing squadrons of the F-4 Phantom, the Turkish Air Force’ Falcons maintained its edge over neighbors. But TAI evolved and ever since its corporate restructuring in 2005 it has become a cutting-edge aerospace firm with several branches. Rather than stick to fighter aircraft, TAI now builds electronics, UAVS, and even satellites. An important link in TAI’s growth were the projects started by the government’s Undersecreatriat of Defense Industries (SSM) in the past several years. Among TAIs most recent breakthroughs is the Hurkus turbo-prop trainer, which is currently being test flown. Thanks to new demand for propeller driven multi-role aircraft, the two-seater Hurkus—powered by a Pratt & Whitney engine—the Hurkus is another exportable bargain. In 2011, TAI and the Turkish government/SSM signed a contract for design work on a jet trainer and a separate fighter to fly alongside the F-35. The entire program is supposed to conceive new planes for the Turkish Air Force by 2020 and beyond. TAI again figures as the Turkish Air Force’s supplier of advanced aircraft systems. At the moment, TAI is juggling several ambitious programs. Among them is the development and production of the T129 attack helicopter. 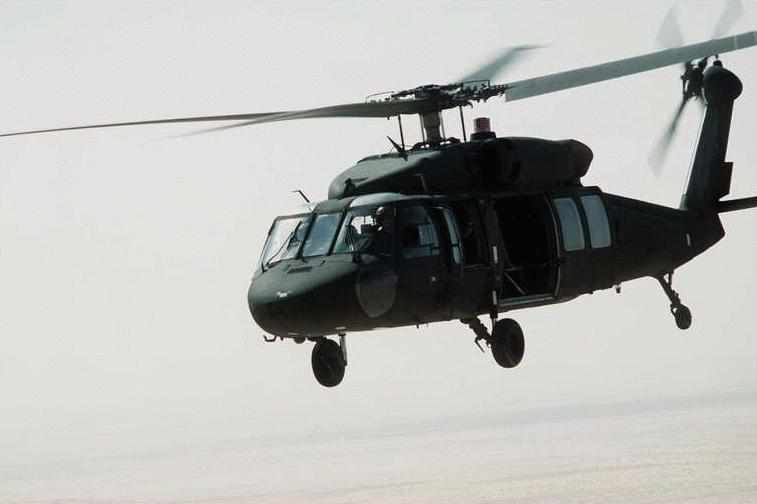 At the same time in 2011 it signed a contract with Sikorsky for mass-production of the T-70, a variant of the successful UH-60 Blackhawk. TAI is also responsible for a future ”Indigenous Helicopter” able to move supplies and troops as well as carry weapons. As a result of (again) the wars in Iraq and Afghanistan, TAI has spearheaded a broad UAV program. So far only the non-lethal ANKA Medium Altitude Long Endurance(MALE) is operational, with several more on the way. This year, ANKA found a willing customer in the Egyptian military. Yet on a smaller scale, the military’s demand for UAVs were met by Baykar. The private sector electronics and engineering firm began R&D on the Bayraktar UAS in 2004. By 2005 the SSM had granted them a contract with production beginning in 2012 for Turkey and Qatar. Turkey’s maritime industry is just as proactive when it comes to boosting the armed forces, or in its case, the navy. Since 2011, shipbuilder ADiK has been cranking out brand new 7,125 ton Landing Ship Tank (LST) amphibious transports to fulfill a three-year eight-ship contract. The Turkish Navy itself is as forward-looking as its sibling branches. According to its website a C4ISR program called “Distant Horizon” is underway. It seeks to synchronize data and streamline operations for the entire Navy. 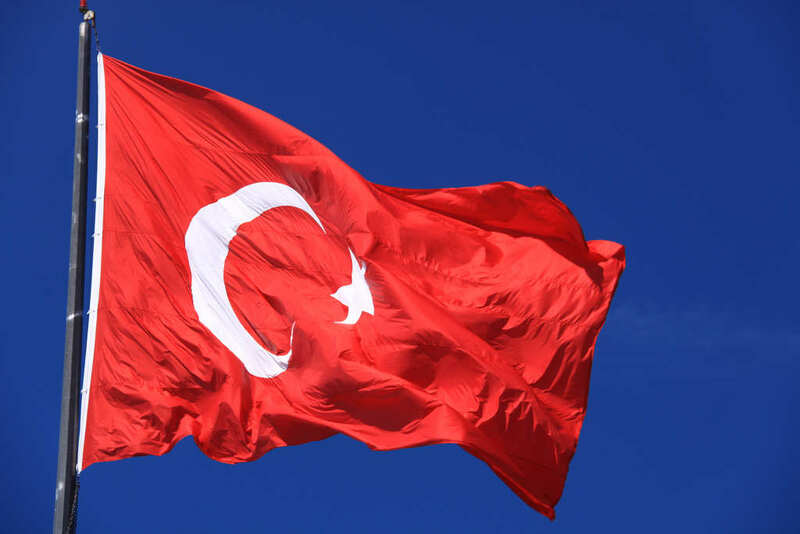 Thanks to TAI, the Turkish government’s limited space program has a credible platform. A three-pronged agenda is in place to locally build satellites that serve dual military and civilian roles. Due to limited expertise, TAI maintains partnerships to achieve its orbital goals. For lack of infrastructure, Turkey launches its space vehicles from China and Russia.